After almost twelve months of effort by the Blacko Parish Council to raise funds to buy a publicly accessible AED (automated External Defibrillator) and the local telephone kiosk, the life saving equipment was declared ‘RESCUE READY’ at the beginning of October. The quest to provide Blacko with the Defibrillator began last year with Blacko councillors examining sources of potential funding for the equipment from various bodies. At just the right time the Council became aware that the East Lancashire Clinical Commissioning Group under the guise of the Burnley and Pendle Council for Voluntary Services had money for such projects. A successful application was made for the full cost of the AED. In discussion with the North West Ambulance Authority it was agreed that the most suitable equipment for the village would be that supplied by Cardiac Sciences; it had the advantage of being totally compatible with the North West Ambulance Authority’s equipment as used in their emergency vehicles. 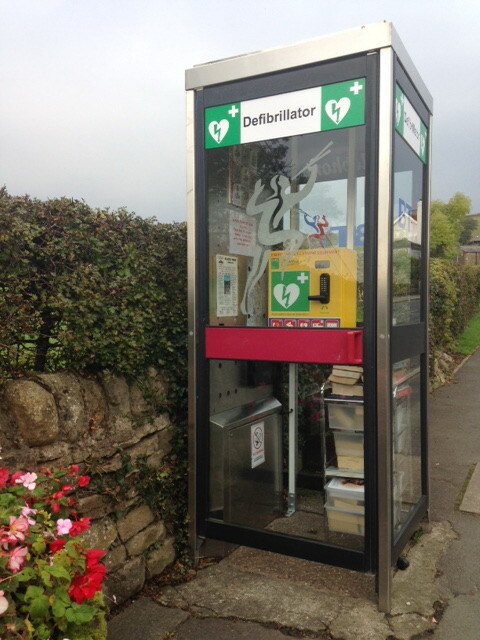 The Blacko village Defibrillator is located in the former B T telephone kiosk on Gisburn Road housed in a bright yellow secure steel case. The former telephone kiosk has had new signage fitted to the top of the windows to highlight the defibrillators location and a step by step procedure for using the equipment in an emergency fitted inside the booth. In common with most publicly accessible defibrillators the first action that MUST be taken in a cardiac emergency is to ring 999 for the Emergency Services and ask for the Ambulance Service – informing them where the defibrillator kiosk is. The operator will then give the caller the code to open the yellow secure case and get the defibrillator out. The technology within the equipment will automatically guide the user step by step with prompts through all the stages needed to use the AED once it is opened. The AED itself will decide whether or not a shock should be administered. The operator will also arrange for an ambulance to be despatched and a Community First Responder if one is available in the area. AED’s are completely safe to use by lay people without training and they cannot cause damage to an individual. 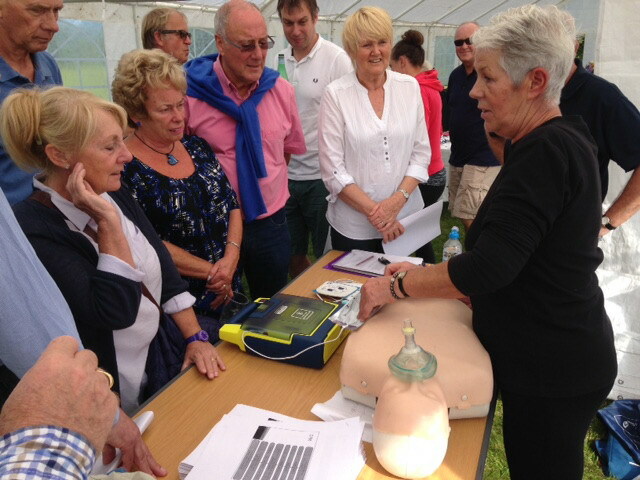 Although in an emergency the equipment can be used without training, Blacko PC believes basic cardiac awareness knowledge has got to be useful and has already given basic training to 35 village residents at the recent Blacko Sports Day in September. Further familiarisation training will be carried out in the future.